We need to have “the talk.” Your website’s content has been lacking a bit lately, and you’ve been wondering, ‘Just how important is it to have new content?” To be frank, it’s pretty important. You’re a business owner, you have a goal: find more customers through online methods, and secure their loyalty to your brand. The problem is, your competition is rolling out fresh content like it’s going out of style, and they are the ones snagging all the prospective customers and clients. Need Help with Your Content? Contact Us Now! When the prospect of finding customers and potential clients through blogging came about, people were skeptical. The wonderful thing about blogging is the ability to turn out fresh content, and that makes Google happy (more on that later). It’s also the perfect medium to showcase your expertise and knowledge, while remaining humble and conversational. When you expand on different questions or topics that a potential customer wants to know about, you’re selling yourself to them without any additional work. Have you ever come across an article and looked at the original post date? First-page, high-ranking content doesn’t have an expiration date on it. There are plenty of posts that roam Google first page that were initially posted in 2006 and before then, but the key is, they’re updated to fit with the current knowledge on that topic. Their algorithms are always changing, but one thing stays the same - the love, and need, for fresh and exciting content. It’s the life force of the internet, the friend of search engines everywhere, and the only way that people are going to find out about you online. Every webpage is an opportunity for a customer to understand how knowledgeable you are, and why they should go with you. Keep in mind, every webpage is also a one-way ticket to ensuring that your potential customers will turn tail and head to your competitor. 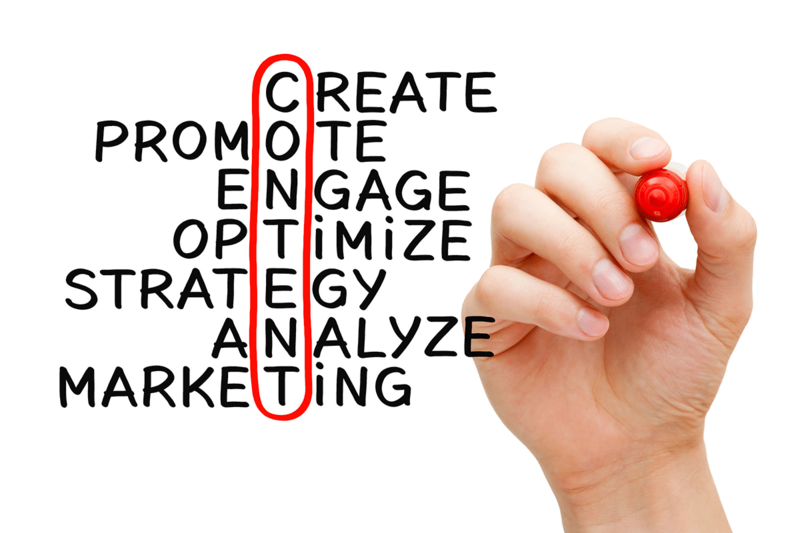 Content won’t do anything for you unless it’s well thought-out and properly executed. SEO is essentially PR for excellent content, as well as your brand. Fresh content is the flip side of the coin - they work in tandem to give Google something to look at, while also giving your customers something to read/view. Google has over 200 factors that play into proper SEO, and among them, fresh content is one. Ever heard about domain authority? It’s one factor that Google uses to determine if your website is another run-of-the-mill blog, or a website that knows their stuff. Major websites spend a lot of money and a lot of time to link build, which is when a link to their website is embedded in another website, used as a reference or citation. Those long-standing, decade-old web pages we talked about earlier? They’re authority pieces that have been linked to plenty of times by other websites, adding to the dependability of that source. But, here’s the thing: nobody’s going to link to a dead site. Updated content (with updated web design and responsiveness) factor in whether or not they’re going to link to your site. When people start linking to you, that’s when your SEO snowballs and starts self-generating. The way we receive and perceive information is constantly shifting. We spend countless hours online every week, reading hours of articles and viewing just as much media. Viewers are loyal to their favorite sites, blogs, and revisit old sources for new, exciting content on a regular basis. The backbone of SEO comes in the form of keywords. You can’t stuff a bunch of keywords onto one page or post, and you don’t want to shoot for a single keyword - there are hundreds of different ways that people are searching for the same thing, which means you need to be open to those different search types. Fresh (and consistent) content allows you to gradually and properly build your authority in multiple keywords, while also avoiding the cardinal sin of SEO: keyword stuffing. Building on keywords, as outlined by your SEO partner, is part of the long-term effect of your strategy. Digital marketing, content marketing - it’s the basis of our language here at 51Blocks. Fresh content is highly important, and your time is scarce - that’s where we come in. If you’ve read this far, you’ve essentially viewed a piece of content marketing about us - now imagine what we can do for you. Head on over to our content pricing page, or contact us today to get your content fresh and rolling out on a consistent basis.